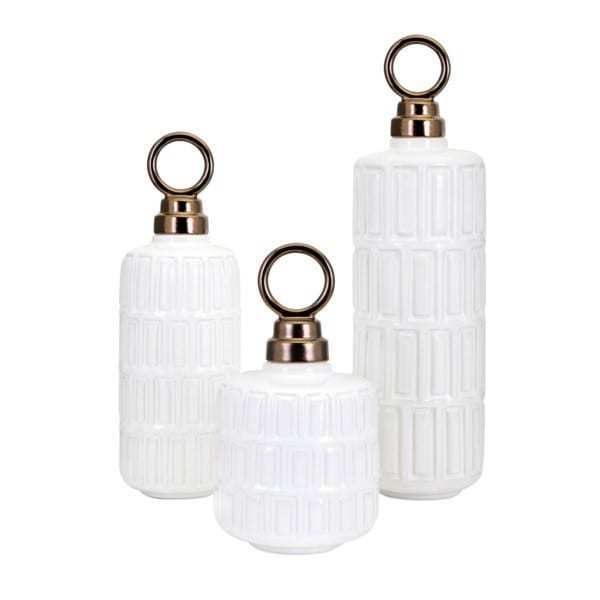 Set of 3 ceramic jars with lids in a pristine white glaze. Decorate your guest bath with this trio of modern ceramic jars with lids in a pristine white glaze. Set of three. A part of the exclusive Nakasa Collection – for your luxe lifestyle.